MANILA, PHILIPPINES, July 29, 2016 – The National Basketball Association (NBA) announced today that 2013-14 Kia NBA Rookie of the Year Michael Carter-Williams of the Milwaukee Bucks will headline NBA 3X Philippines 2016 presented by Panasonic, which returns to Manila from Aug. 19-21 at the SM Mall of Asia Music Hall. 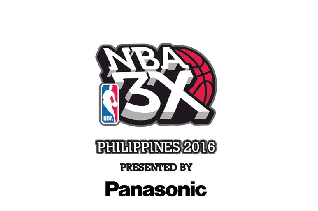 Registration for NBA 3X Philippines 2016 begins July 29 at www.nba3x.com/philippines. Carter-Williams, a 6’6” guard out of Syracuse University, was drafted 11th overall by the Philadelphia 76ers in the 2013 NBA Draft. He was named the 2013-14 Kia NBA Rookie of the Year and was unanimously selected to the 2013-14 NBA All-Rookie First Team. 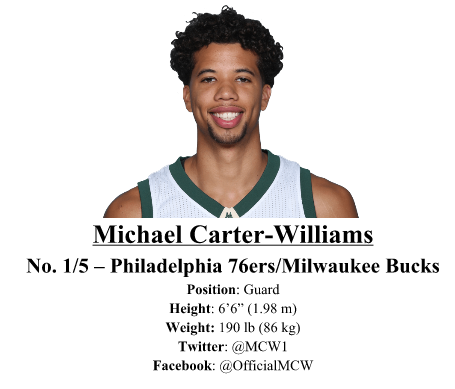 Carter-Williams joined the Bucks during the 2014-15 season, and averaged 11.5 points, 5.2 assists and 5.1 rebounds per game last season.